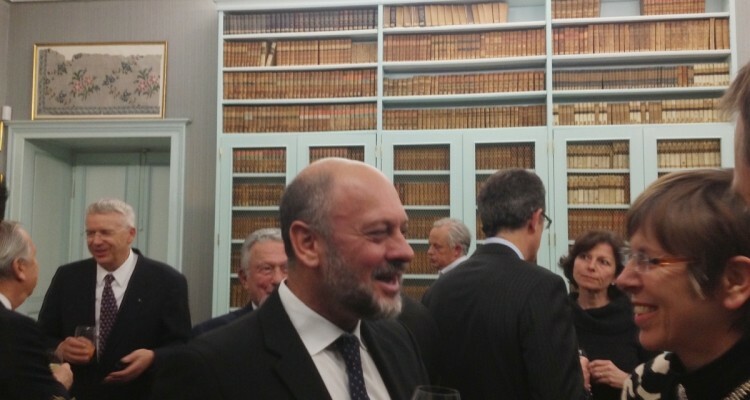 On 20th March 2013, IUCN and Fondation Segré had the pleasure of hosting a dinner-conference in the honour of one of Australia’s most well-known conservationists, writers and climatologists: Professor Tim Flannery. Held in the beautiful “Société de Lecture” in the old town of Geneva, guests from different circles (finance, conservation, wildlife anti-poaching, publishing, marketing, etc.) had the opportunity to follow a very interesting presentation on the current hot-topic of climate change, a subject about which Professor Flannery explained the dangers and remedial policies being considered. A warm thank you to the following people for making this evening a real pleasurable moment: the staff of IUCN for their valuable help in organising the event, the “Société de Lecture” for their warm reception, the staff of the Mandarin Oriental for a delicious meal and, last but not least, Professor Tim Flannery for his kindness, openness and for delivering a fascinating talk.